Vehicles with a high level of horsepower, spacious interior and advanced safety features typically aren’t compact sedans. 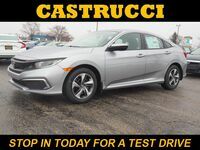 This is why the 2016 Honda Civic in Dayton, OH is such a surprising vehicle, it offers everything that is typically lacking in a compact sedan and takes it a step further with a newfound level of speed and some impressive new looks. 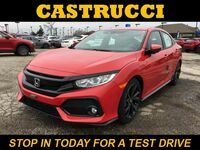 Along with these other improvements the Honda Civic has also managed to increase the overall level of efficiency with both of its engine options as well as add quite a few new safety features. Honda has also improved the interior quite a bit, to go along with the fresh appearance of the exterior. The available features for convenience and comfort now include things like remote engine start, dual-zone automatic climate control, heated rear seats and even rain sensing wipers. 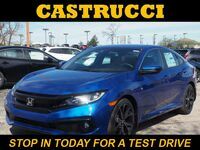 The 2016 Honda Civic hasn’t just been slightly changed for the new generation, it is a whole new vehicle that lives in a world of performance and comfort while at the same time offering itself at an affordable price. 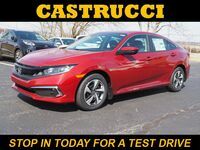 This year brings options in the form of two new engines for the Honda Civic and does away with the 1.8-liter four cylinder of years past. The base engine, available on the first two trims, is a 2.0-liter four cylinder that produces 158 horsepower and 138 pound-feet of torque. The 2.0-liter engine comes with the choice of being paired with a six-speed manual transmission or continuously variable transmission. The second engine option, available for the top three trims, is a 1.5-liter turbocharged four cylinder that produces 174 horsepower and 162 pound-feet of torque, an impressive new high for the compact sedan. This second engine is paired with a CVT. 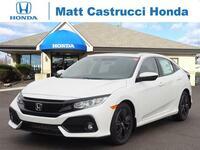 Both options offer an increased level of efficiency for the Civic. One of the most important changes, which may be more important than the new engines, is the newly available Honda Sensing suite. This group of safety features from Honda has already been made available to other Honda vehicles, which has resulted in high safety ratings from the IIHS for both the Pilot and Accord. This suite of features includes forward collision warning, lane departure warning, collision mitigation braking and road departure mitigation. For more information on the specs and features you can view our available inventory online.